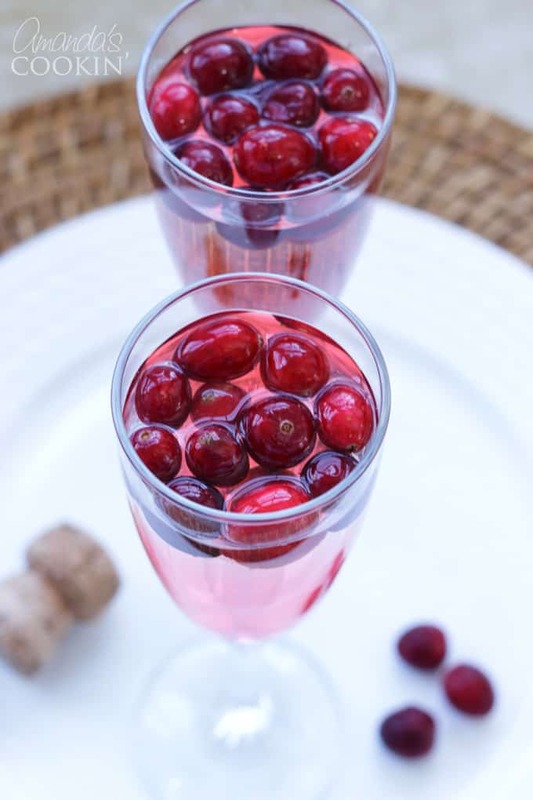 Cranberry Prosecco Punch: a fun cocktail that's perfect for fall entertaining. 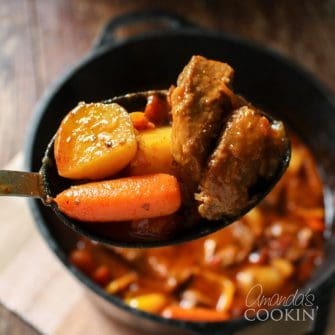 With the arrival of fresh cranberries and juicy oranges in my supermarket, whipping up new seasonal recipes is hard to resist. 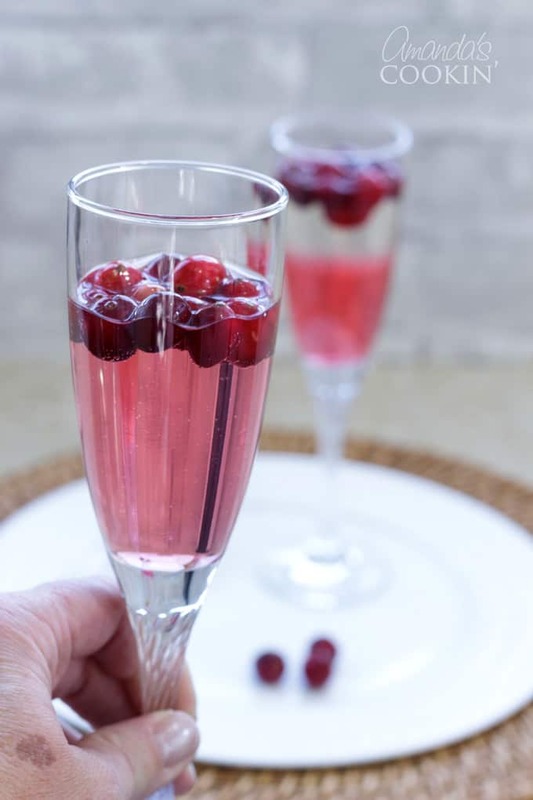 If you liked our Pineapple Prosecco Punch, this Cranberry Prosecco Punch is a fun twist perfect for fall and winter entertaining. I’m on a bit of a Prosecco kick of late now that I’ve found a few brands that I adore – it truly is champagne taste on a beer budget! If you’re new to Prosecco or don’t really understand the difference between Italian Prosecco and French Champagne, let’s just say Prosecco is Champagne’s fresh, young, and vibrant younger cousin with a delicious and less sharp flavor profile. 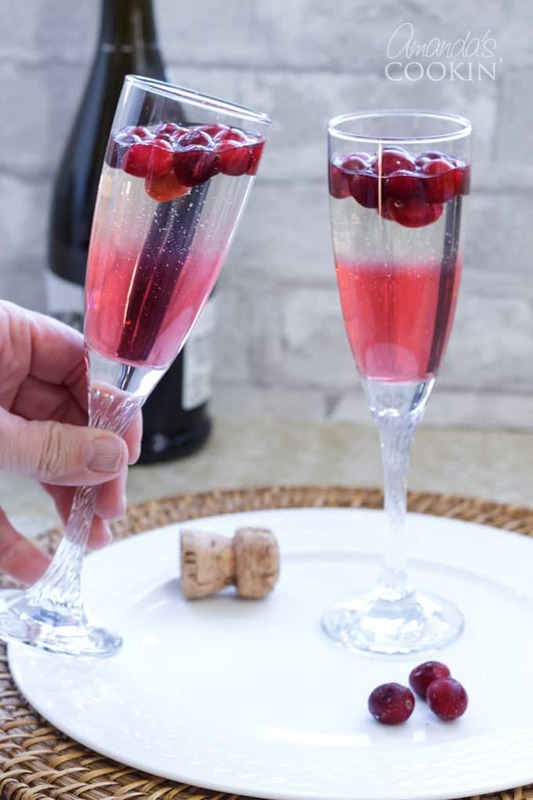 Because of the way it’s made, Prosecco is super affordable so you can do some experimenting to find a brand you like but you don’t have to worry too much when you’re using it in a cocktail recipe like this Cranberry Prosecco Punch. 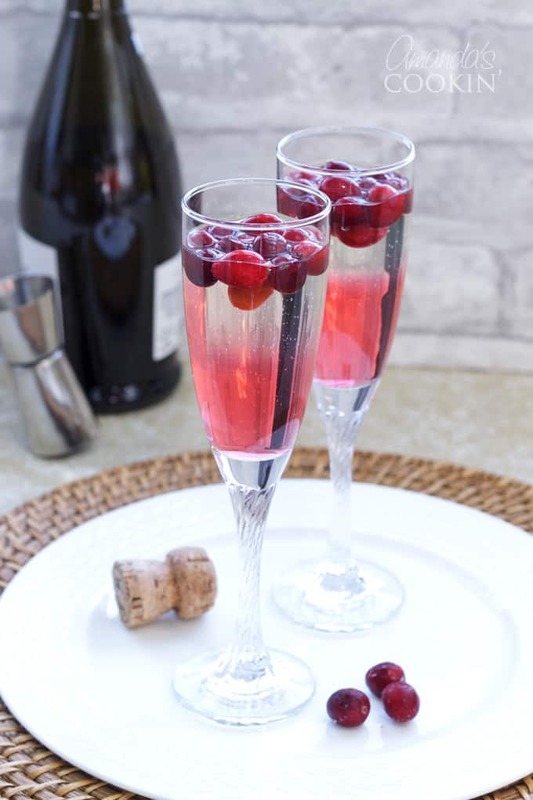 To make this Cranberry Prosecco Punch more fall-inspired, I added a little bit of orange-flavored liqueur (Cointreau), sparkling cranberry ginger ale and a handful of frozen cranberries. A swirl of orange zest would be wonderful in this, as well. If you’re not a fan of Cointreau, feel free to add a splash of white rum or vodka along with a bit of orange juice to still achieve that same blend of fall flavors. I love that this Cranberry Prosecco Punch captures the delicious flavors of fall while being fresh and bright. A lot of fall-inspired cocktails can be a bit heavy or strong so this is a nice alternative, especially if you’re serving it with brunch or appetizers. 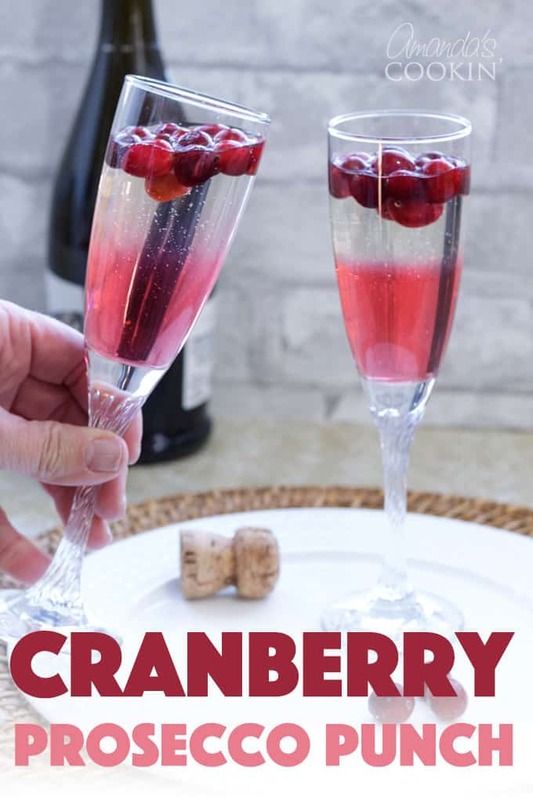 This delicious cocktail is perfect for Thanksgiving or Christmas, awesome for New Year’s Eve celebrations, and equally wonderful on a crisp evening around a campfire with friends. It’s a versatile cocktail that pairs well with charcuterie boards or breakfast, so no matter what you’re serving, you know that the drinks are covered. For more fall inspired drinks, check out this Cranberry Sangria, Apple Pie Cocktail, and this Caramel Pumpkin Cocktail. All of which are bursting with fall flavor and are always a hit at any party or gathering! While we know the separation between the ingredients is beautiful, be sure to give your cocktail a stir before enjoying! This is what it will look like afterward, pretty in pink. 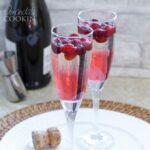 This Cranberry Prosecco Punch is great for Thanksgiving morning or a crisp evening around a campfire with friends. The perfect fall cocktail! Split the cointreau between two champagne flutes so each has 1/2 oz of the orange liqueur. 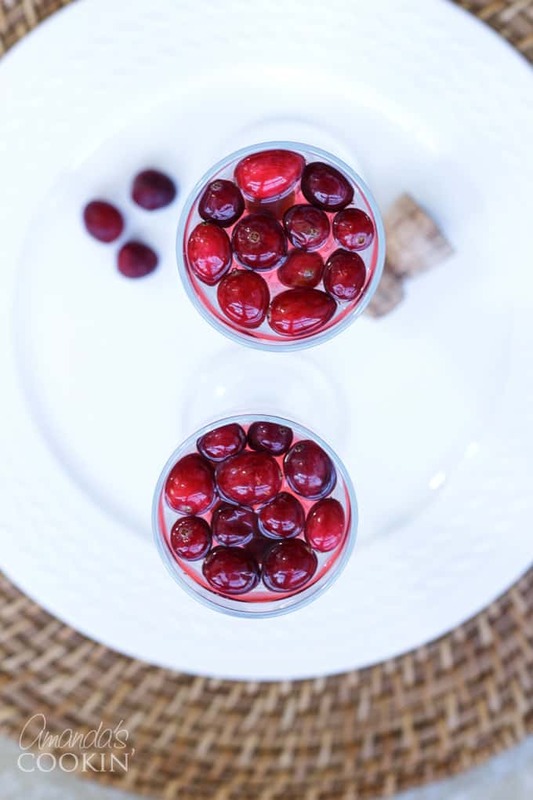 Fill each glass halfway with cranberry gingerale and add a handful of frozen cranberries. Top with Prosecco and serve. Guests should give their cocktail a quick stir before the first sip!